Highlife vs. Limelight – which to choose? When you’re shopping for a spa, there are so many things to consider. And the options can feel overwhelming. You’re looking for a quality spa that’s built to last, with the features you desire, in a beautiful package. It might sound like a tall order, but once you look at the Highlife and Limelight collections from Hot Spring Spas, you realize it’s all possible. All you need to do is choose the model that fits your lifestyle and your home best. The Highlife collection is Hot Spring’s best-selling line, and it’s easy to see why. 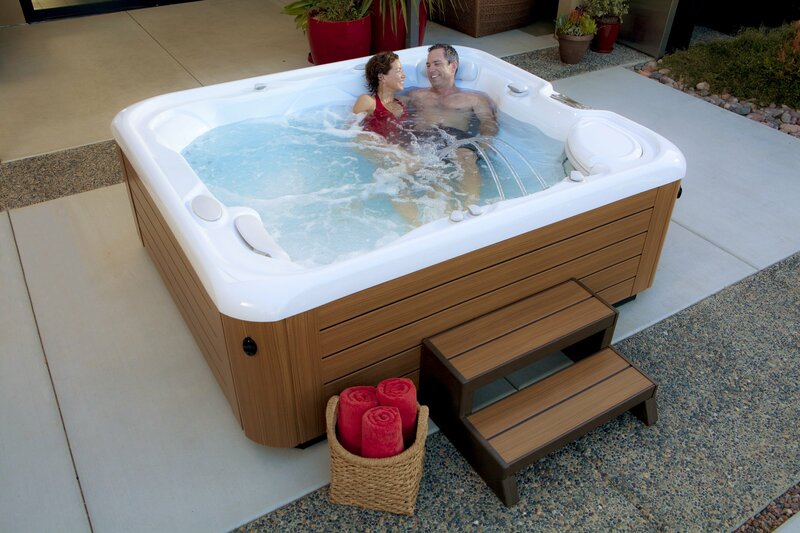 The timeless design holds innovative hydrotherapy and exclusive features that buyers love. Jets – Highlife’s Comfort Control and SmartJet systems let you customize and control the jets, so you can have the hydromassage you want, not one that’s pre-determined by the spa’s designers. Energy – These are “super energy efficient” spas, which is just one of the ways you get value from your Highlife spa. The Energy Smart system means every aspect of the spa has been optimized to retain heat and make it run as efficiently as possible. Water – Crystal clear and clean water is essential to any hot tub experience. Hot Spring developed the patented ACE Salt Water System and industry-leading filtration to keep your spa in top-condition with as little maintenance as possible. Quality – No matter the model you choose, you can rely on Maximum Comfort and Hot Spring to stand behind the product and provide amazing customer service. Don’t just take our word for it, though. Read what other Hot Spring owners have to say. Design – The Highlife line was designed in conjunction with experts from Designworks, a BMW company. They started from the ground up, thinking through every element of spa function and visual appeal. The Limelight line’s unique lighting and clean styling adds ambiance to your spa experience. Jets – The Limelight is designed to look as good as it feels, with comfortable seats and powerful jets targeted to “hot zones” like your shoulders, back and toes. Energy – All Limelights include Energy Smart features, like FiberCor insulation, custom-designed spa covers, and more – all designed to lock in heat and deliver you value. Water – You want to spend time enjoying your spa, not maintaining it. Hot Spring’s patented ACE Salt Water System and popular EverFresh water care system make it simple to keep you hot tub clean, clear and ready for use. Quality – We stand behind every hot tub we sell, no matter the model. 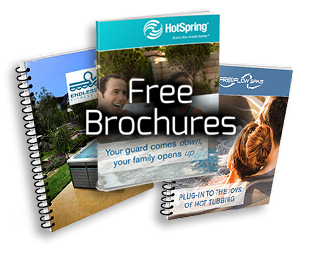 And it’s easy to do, because Hot Spring makes quality hot tubs that are built to last and deliver an excellent customer experience. Design – The Limelight line offers some of the most dramatic spas on the market today, from the stainless steel jet details to the uniquely sculpted shell and beautiful lighting details. Still having trouble choosing? Stop by the showroom to see these models in person and pick the one that’s perfect for you.